About 2,000 babies are born in the UK every day, and every parent wants their children to grow up to fulfil their potential and to be happy and well balanced individuals. They also want to develop and foster a happy, harmonious home and family life. But being a Mum or a Dad is rarely easy and you don’t get any training in how do it. 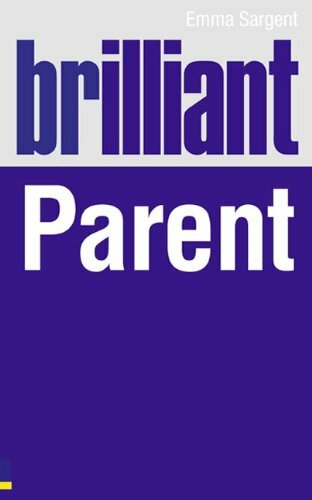 Brilliant Parent is the definitive on-the-job training manual for parents who want to be better at the job. It is packed full of all the clever little things to do and say, together with new ways of thinking, that will make sure parents can get the very best from their child in every situation. Brilliant Parent offers parents the knowledge and skills they need to understand their child, allowing the child to grow up into a confident adult who is unique, individual, self aware, takes responsibility and can maintain meaningful and healthy relationships with others. Don’t be a good parent, be a brilliant parent. The definitive training manual to master the most important job in the world: being a brilliant parent. Parenting is a hugely rewarding job, but boy is it hard work. It’s probably impossible to be perfect, but we work at it. We want to be the very best parent we can be. And we want to give our children the right start, so that they grow up to fulfil their potential and live a happy, well-balanced life. In the meantime, we also want a happy, harmonious family life. Sounds like a tall order? Brilliant Parent is here to help. Packed with insights, stories and exercises, it will show you how to really understand your children and how you can help them grow in confidence, awareness and happiness to set them up for life. Emma Sargent is mother of two, stepmother of four, and an internationally renowned trainer and coach. She is the co-founder of The Extraordinary Coaching Company and is a certified NLP trainer.